This 1950's cave like bathroom was in desperate need of an update. A complete gut was in order. 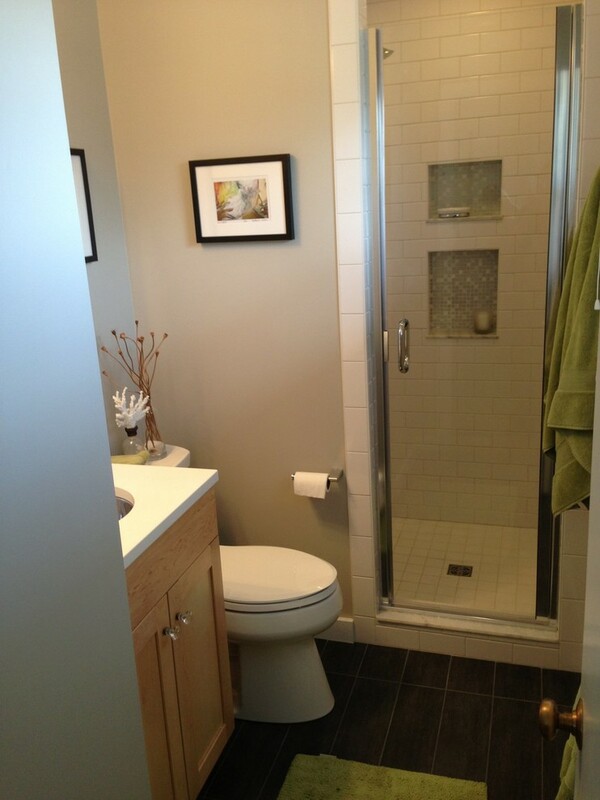 We opened up the shower area by taking out the low soffit. 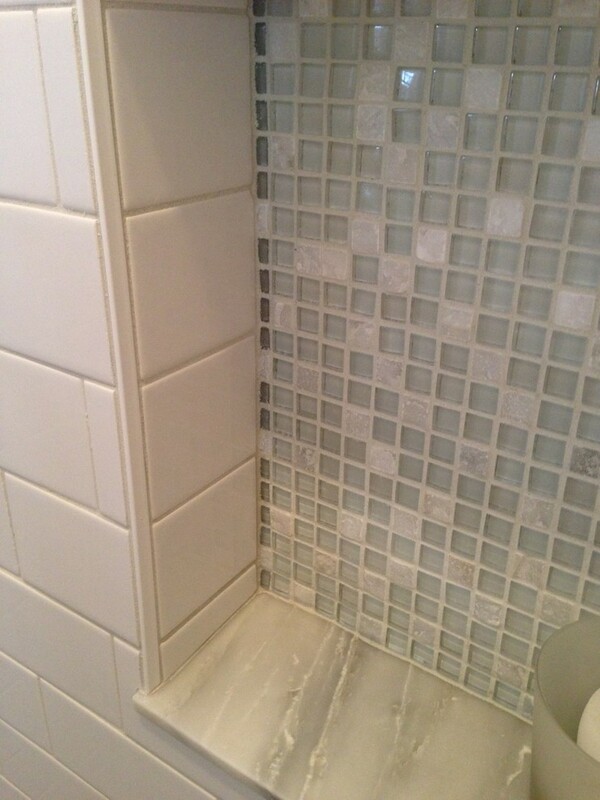 The clean white tile brightened up the entire room. 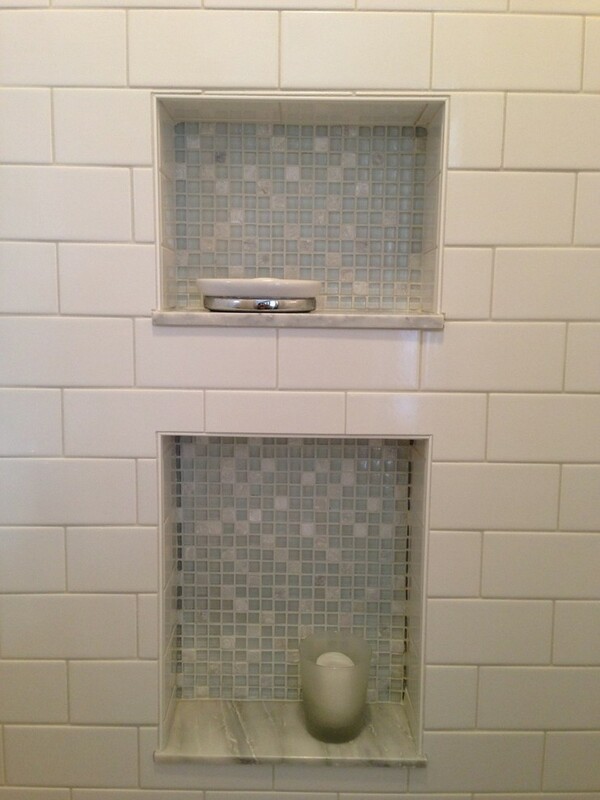 The Niches were highlighted by glass tile. 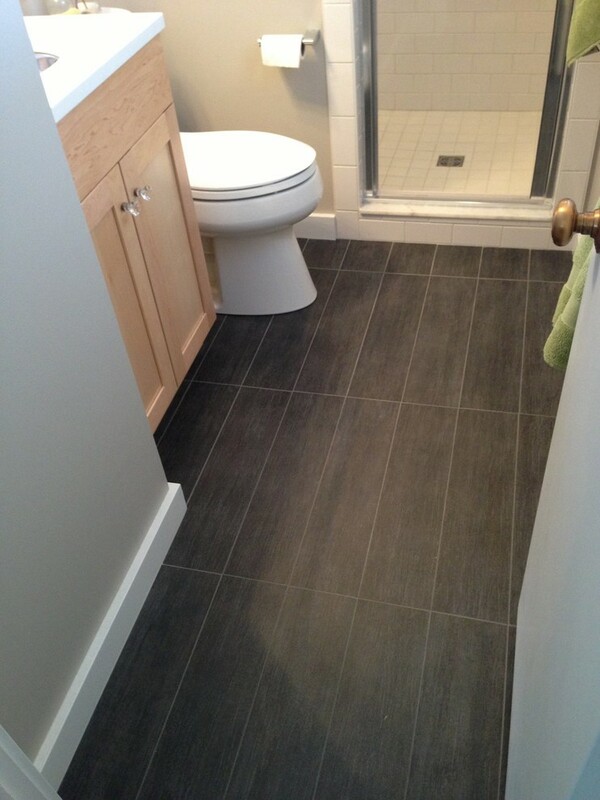 The flooring is a straight lay ceramic tile. Easy to maintain. 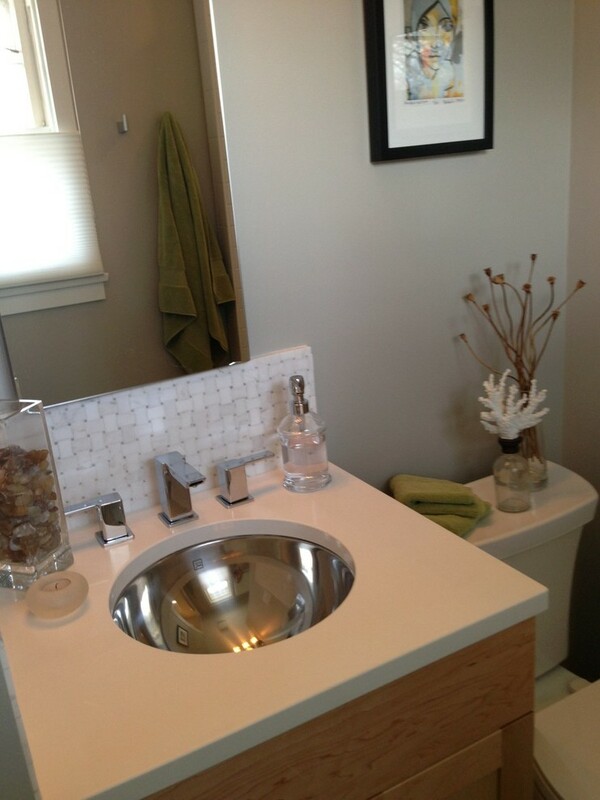 The natural maple cabinet added much needed storage to the small space. 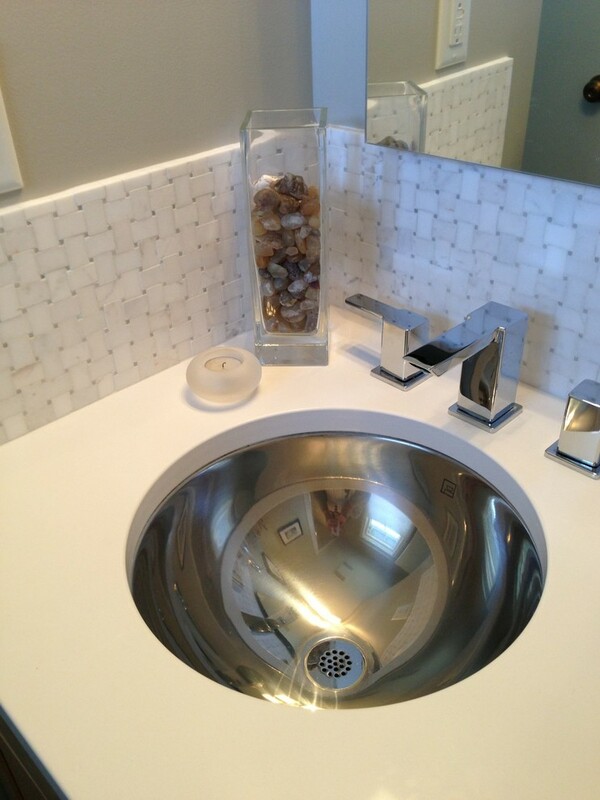 The sink is stainless steel that matches all the faucets.